Stimuli are changes in the external or internal environment, such as light waves, pressure or blood sugar. Humans can detect at least nine external stimuli and dozens of internal stimuli, so the commonly-held believe that humans have just five senses is obviously very wide of the mark! Receptor cells detect stimuli. Receptor cells are often part of sense organs, such as the ear, eye or skin. Receptor cells all have special receptor proteins on their cell membranes that actually do the sensing, so “receptor” can confusingly mean a protein, a cell or a group of cells. The coordinator is the name given to the network of interneurones connecting the sensory and motor systems. It can be as simple as a single interneurone in a reflex arc, or as complicated as the human brain. 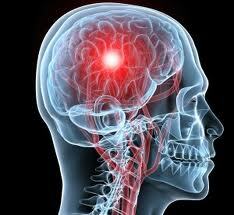 Its job is to receive impulses from sensory neurones and transmit impulses to motor neurones. Effectors are the cells that effect a response. In humans there are just two kinds: muscles and glands. Muscles include skeletal muscles, smooth muscles and cardiac muscle, and they cause all movements in humans, such as walking, talking, breathing, swallowing, peristalsis, vasodilation and giving birth. Glands can be exocrine – secreting liquids to the outside (such as tears, sweat, mucus, enzymes or milk); or endocrine – secreting hormones into the bloodstream. Responses aid survival. They include movement of all kinds, secretions from glands and all behaviours such as stalking prey, communicating and reproducing. Explain: Give a detailed account. Describe: Give a detailed account or picture of a situation, event, pattern or process. A reflex is a response to a perturbing stimulus that acts to return the body to homeostasis. This may be subconscious as in the regulation of blood sugar by the pancreatic hormones, may be somewhat noticeable as in shivering in response to a drop in body temperature; or may be quite obvious as in stepping on a nail and immediately withdrawing your foot. The receptor at the end of a sensory neuron reacts to a stimulus. The sensory (afferent) neuron conducts nerve impulses along an afferent pathway towards the central nervous system (CNS). The integration center consists of one or more synapses in the CNS. A motor (efferent) neuron conducts a nerve impulse along an efferent pathway from the integration center to an effector. An effector responds to the efferent impulses by contracting (if the effector is a muscle fiber) or secreting a product (if the effector is a gland). Individual nerve cells connect with one another through gaps, called synapses. When a nerve impulse reaches the synapse, it releases a chemical messenger called a neurotransmitter. The neurotransmitter diffuses across the synapse and triggers a new impulse in the dendrite of one or more connecting neurons. As the impulse reaches the end of the first neurone which causes several hundred vesicles containing the neurotransmitter to fuse with the cellmembrane. The neurotransmitter is released into the synaptic cleft. designing drugs to affect specific synapses, drugs can be targeted at different parts of the nervous system. The following examples show how some common drugs work. You do not need to learn any of this, but you should be able to understand how they work. Caffeine, theophylline, amphetamines, ecstasy (MDMA) and cocaine all promote the release of neurotransmitter in excitatory synapses in the part of the brain concerned with wakefulness, so are stimulants. Alcohol, benzodiazepines (e.g. mogadon, valium, librium), barbiturates, and marijuana all activate the inhibitory neuroreceptors in the same part of the brain, so are tranquilizers. The narcotics or opioid group of drugs, which include morphine, codeine, opium, methadone and diamorphine (heroin), all block opiate receptors, blocking transmission of pain signals in the brain and spinal chord. The brain’s natural endorphins appear to have a similar action. Parkinson’s disease (shaking of head and limbs) is caused by lack of the neurotransmitter dopamine in the midbrain. The balance can be restored with levodopa, which mimics dopamine. Curare and α-bungarotoxin (both snake venoms) block the acetylcholine receptors in neuromuscular junctions and so relax skeletal muscle. Nerve gas and organophosphate insecticides (DDT) inhibit acetylcholinesterase, so acetylcholine receptors in neuromuscular junctions are always active, causing muscle spasms and death. tetraethylamonium blocks the voltage-gated potassium channel. Both are powerful nerve poisons. Compare:Give an account of similarities and differences between two (or more) items, referring to both (all) of them throughout. 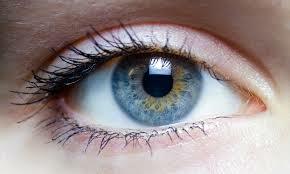 When you look at an object, light rays reflected from the object hit the transparent cornea at the front of your eye. The rays are partly focused and pass through the pupil, which enlarges or constricts depending on light conditions. The lens varies its focusing power for near and distant objects and fine-focuses the rays to create a sharp image on the fovea, the most responsive area of the light-sensitive retina at the back of the eye. The mechanism of visionLight rays focused by the cornea and lens produce an image on the retina that is upside down. Electrical signals from stimulated cells in the retina travel along the optic nerve to the brain, where the image is interpreted as being upright. The iris consists of radial muscles arranged like the ciliary muscles, when they contract the radius decreases, the surface area of the iris increases (the contracted muscles take up more space when arranged in a circle) and less light is let into the eye. The eye adjusts for near and distant vision by changing the shape of its lens. This varies the extent to which incoming light is refracted (bent). 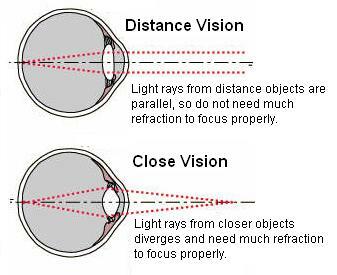 To create a sharp image on the retina, light rays from near objects must be bent more than those from distant objects. This process is called accommodation. When you look at an object in the distance, muscles in the ciliary body relax and the lens assumes a flatter shape. When you look at a close object, muscles in the ciliary body contract, allowing the elastic lens to assume a more spherical shape. Hank look at the nervous system and all of the things that it is responsible for in the body. Paul Andersen explains how epinephrine is responsible for changes in chemistry of our body associated with the fight or flight response. Epinephrine released by the adrenal medulla are received by a number of organs associated with the sympathetic nervous system. Great video clip on strokes. This CGI animated sequence demonstrates how cocaine effects the user's brain.